Looking at the state of our bedroom behind me in this picture, I'm kind of ashamed I even posted it...ha ha ha! But what can I say, that's life! I don't always have a perfectly made bed even if this was taken at about midday! This morning I had some free time to catch up on some work as Jonathan kindly took the kids out to do some grocery shopping. So I managed to film a video, get back to a few emails, tick some things off my to-do list and quickly clean the house/do some laundry before they all got back. Phew! My outfit was pretty simple today but I love this top...I wish I had picked up more when I was in New York! It's from J.Crew and the neckline is very flattering. The arms are a little tight on this as they only had XXS left in this colour but I got everything else in XS (which fits nicer in my opinion). My jeans are the black Ted Bakers with rips in the knees and my scarf is old but a favourite of mine from Zara. Emilia & Eduardo are still recovering from being sick so we kept Emilia from preschool today. But they are doing much better...thank you for all your well wishes <3 They played outside in their new car (I know...spoiled, spoiled kids but it was a very generous gift from Range Rover!) while I edited. 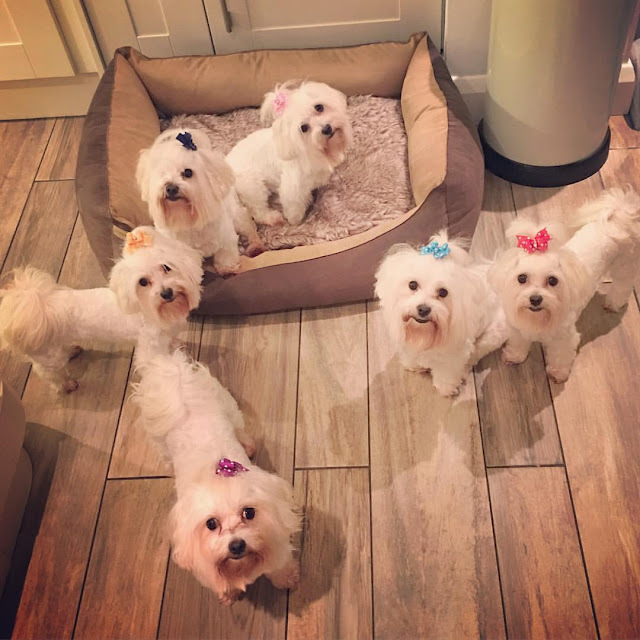 Meanwhile our pampered pooches spent the day at the salon! Lucky for some, they have a more glamorous life than me! They even get massages and listen to classical music...ha ha ha! I love when they all smell beautiful and have fresh new bows in. If only it lasted! Other than that we had a pretty normal Friday night. We ordered pizza (of course) and chilled as a family. But to me those evenings are the best! If you'd like to check out my video you can watch it here! It's a Q&A where I answered your questions from Snapchat (my Snapchat is asacconejoly by the way. I try to post everyday). I really loved getting to see your sweet faces and it felt like a much more personal Q&A so I will definitely do this again soon! And thank you to everyone who sent me a snap - you are all so lovely and I wish I could give you a big hug! I love your outfit today ..it's show how you work on your body and how fit you've became. .
IHOP you have a happy live and all your dreams come true. .keep sharing this moments it's what make you spical and not fake..
And the pooches look so cute, aww! 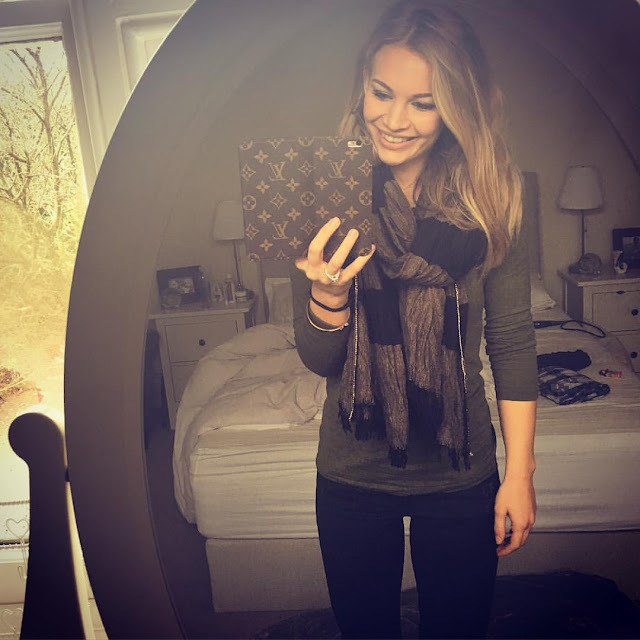 Anna, you look so fit, healthy and happy in this post's picture! Your dedication to fitness has clearly paid off, and you have inspired me to step up my game and do the same. Also, congratulations on your jewelry line! It looks beautiful, and the fact that it was borne out of such a sentimental connection with your father makes it truly special. He would be so proud of you! Wishing you much success with it!